1دانشجوی دکترای گروه آموزشی علوم دامی.گروه آموزشی علوم دامی، دانشکده کشاورزی، دانشگاه تبریز، تبریز، ایران. 2گروه آموزشی علوم دامی، دانشکده کشاورزی، دانشگاه تبریز، تبریز، ایران. 3استاد گروه آموزشی علوم دامی.گروه آموزشی علوم دامی، دانشکده کشاورزی، دانشگاه تبریز، تبریز، ایران. 4استادیار گروه آموزشی علوم دامی.گروه آموزشی علوم دامی، دانشکده کشاورزی، دانشگاه تبریز، تبریز، ایران. زمینه و هدف: اتصال میکروارگانیسم‌ بیماری‌زا به سطح سلول‌ اولین گام در ایجاد عفونت است. تحقیق حاضر در راستای معرفی ماده زیست محیطی و جایگزین آنتی‌بیوتیکی که مانع از اتصال و شروع روند بیماری شود، انجام گرفت. روش‌ بررسی: مطالعه حاضر در طول 3 دوره آزمایشی انجام گرفت. جدایه‌های بالینی باکتری اشرشیاکلی و مخمر کاندیدا آلبیکنس از ایستگاه تحقیقاتی خلعت‌پوشان دانشگاه تبریز و سویه استاندارد آن‌ها از سازمان پژوهش‌های علمی ایران تهیه شد. اثرات تجمع‌پذیری تیمارهای آزمایشی با هر دو گونه اشرشیاکلی و کاندیدا آلبیکنس به روش کولادو بررسی و به صورت درصد بیان گردید. همچنین فعالیت ضد اتصالی آن‌ها با استفاده از روش میکروتیترپلیت انجام و به صورت درصد کاهش اتصال محاسبه شد. یافته‌ها: نتایج نشان داد که بیشترین میانگین تجمع‌پذیری با 68/74 درصد مربوط به تیمار "پروبیوتیک +نانوسلنیوم" با گونه استاندارد کاندیدا آلبیکنس و کمترین درصد تجمع‌پذیری با میانگین 32/39 درصد مربوط به تیمار "نانوسلنیوم" با گونه بالینی اشرشیاکلی بود (05/0P<). ارزیابی توان ضد اتصالی نیز حاکی از آن بود که به جز تیمار "پروبیوتیک" روی گونه بالینی کاندیدا آلبیکنس، تفاوت معنی‌داری در سایر تیمار‌ها روی هر یک از گونه‌های اشرشیاکلی و کاندیدا آلبیکنس مشاهده نشد (05/0P>). همچنین بیشترین میزان حساسیت مربوط به گونه استاندارد و کمترین حساسیت متعلق به گونه بالینی عوامل بیماری‌زا بود. نتیجه‌ گیری: تمامی ترکیبات آزمایشی در این تحقیق توانایی مناسبی برای مولفه‌های تجمع‌پذیری و ضد اتصالی با گونه‌های بیماری‌زا داشتند. با این وجود "پروبیوتیک+نانوسلنیوم" از میانگین نسبی بالا و متعادلی برای هر سه دوره آزمایشی برخوردار بود. لذا می‌توان از آن جهت پیشگیری بیماری استفاده نمود. 1-Cheraghi Saray S, Hosseinkhani A, Janmohammadi H, Zare P, Daghighkia H. Thermal and probiotic treatment effects on restaurant waste for incorporation into poultry diet. Int J Recycl Org Waste Agricult. 2014; 3: 1-7. 2-Chung YC, Su YP, Chen CC, Jia G, Wang Hl, Wu JG, Lin JG. Relationship between antibacterial activity of chitosan and surface characteristics of cell wall. Acta Pharmacol Sin. 2004; 25: 932-6. 3-Soleimani NA, Kermanshahi RK, Yakhchali B, Sattari TN. Antagonistic activity of probiotic lactobacilli against Staphylococcus aureus isolated from bovine mastitis. Afr J Microbiol Res. 2010; 4: 2169-73. 4-Reid G, McGroarty JA, Angotti R, Cook RL. Lactobacillus inhibitor production against Escherichia coli and co aggregation ability with uropathogens. Can J Microbiol. 1988; 34: 344-51. 5-Goh YJ, Klaenhammer TR. Functional roles of aggregation-promoting-like factor in stress tolerance and adherence of Lactobacillus acidophilus NCFM. Appl Environ Microbiol. 2010; 76: 5005-12. 6-Huh AJ, Kwon YJ. "Nanoantibiotics": a new paradigm for treating infectious diseases using nanomaterials in the antibiotics resistant era. J Controlled Release. 2011; 2: 128–45. 7-Kamada H, Nonaka I, Ueda Y, Murai M. Selenium addition to colostrum increase immunoglobulin G absorption by newborn calves. J Dairy Sci. 2007; 90: 5665-70. 8-Zawrah MF, Abd El-moez SI. Antimicrobial activities of gold nanoparticles against major foodborne pathogens. Life Sci J. 2011; 8: 37-44. 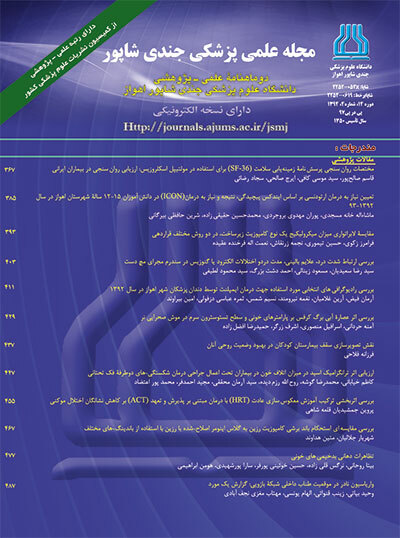 9-Shokohi T, Hashemi Soteh MB, Saltanat Pouri Z, Hedayati MT, Mayahi S. Identification of Candida species using PCR-RFLP in cancer patients in Iran. Indian J Med microbial. 2010; 28: 147-51. 10-Masuoka J. Surface glycans of Candida albicans and other pathogenic fungi: physiological roles, clinical uses, and experimental challenges. Clin Micro Rev. 2004; 17: 281-310. 11-Otang WM, Grierson DS, Ndip RN. Antifungal activity of Arctotis arctotoides (L.f.) O. Hoffm and Gasteria bicolor Haw against opportunistic fungi associated with human immunodeficiency virus/acquired immunodeficiency syndrome. Pharmacogn Mag. 2012; 8: 135-40. 12-Stabnikova O, Ivanov V, Larionova I, Lewis J. Ukrainian dietary bakery product with selenium-enriched yeast. LWT-Food Sci Technol. 2008; 41: 890-5. 13-Hongfei Y, Gongjian F, Zhenxin G. Optimization of culture parameters of selenium-enriched yeast (Saccharomyces cerevisiae) by response surface methodology (RSM). LWT-Food Sci Technol. 2010; 43: 666-9. 14-Collado MC, Meriluoto J, Salminen S. Adhesion and aggregation properties of probiotic and pathogen strains. Eur Food Res Technol. 2008; 226: 1065-73. 15-Spinler JK, Taweechotipatr M, Rognerud CL, Ou CN, Tumwasorn S, Versalovic J. Human- derived probiotic Lactobacillus reuteri demonstrate antimicrobial activities targeting diverse enteric bacterial pathogens. Anaerobe. 2008; 14: 166-71. 16-Santos CMA, Pires MCV, Leao TL, Hernandez ZP, Rodriguez ML, Martins AKS, Miranda LS, Martins FS, Nicoli JR. Selection of Lactobacillus strains as potential probiotics for vaginitis treatment. Microbiol. 2016; 162: 1195-207. 17-Jorgensena MR, Kragelunda C, Jensenb PO, Kellera MK, Twetman S. Probiotic Lactobacillus reuteri has antifungal effects on oral Candida species in vitro. J Oral Microbiol. 2017; 9: 1274582. 18-Do-Carmo MS, Noronha FMF, Arruda MO, Costa EPS, Bomfim MRQ, Monteiro AS, Ferro TAF, Fernandes ES, Giron JA, Monteiro-Neto V. Lactobacillus fermentum ATCC 23271 displays in vitro inhibitory activities against Candida spp. Front Microbiol. 2016; 7:1722. 19-Kos B, Susković J, Vukovic S, Simpraga M, Frece J, Matosic S. Adhesion and aggregation ability of probiotic strain Lactobacillus acidophilus M92. J Appl Microbiol. 2003; 94: 981-7. 20-Angmo K, Savitri AK, Bhalla TC. Probiotic characterization of lactic acid bacteria isolated from fermented foods and beverage of Ladakh. LWT Food Sci Technol. 2016; 66: 428-35. 21-Zhang Y, Zhang L, Du M, Yi H, Guo C, Tuo Y, Han X, Li J, Zhang L, Yang L. Antimicrobial activity against Shigella sonnei and probiotic properties of wild lactobacilli from fermented food. Microbiol Res. 2011; 167: 27– 31. 22-Nikaido H. Prevention of drug access to bacterial targets: Permeability barriers and active efflux. Sci. 1994; 264: 382–8. 23-Danese PN, Pratt LA, Kolter R. Exopolysaccharide production is required for development of Escherichia coli K-12 biofilm architecture. J Bacteriol. 2000; 182: 3593–6. 24-Ingrassia I, Leplingard A, Darfeuille-Michaud A. Lactobacillus casei DN-114 001 inhibits the ability of adherent-invasive Escherichia coli isolated from Crohn's disease patients to adhere to and to invade intestinal epithelial cells. Appl Environ Microbiol. 2005; 71: 2880-7. 25-Abedi D, Feizizadeh S, Akbari V, Jafarian-Dehkordi A. In vitro anti-bacterial and anti-adherence effects of Lactobacillus delbrueckii subsp bulgaricus on Escherichia coli. Res Pharm Sci. 2013; 8: 260-8. 26-Kaur R, Kaudal T, Sharma A. Probiotic mediated synthesis of selenium particles: characterization and biofilm scavenging analysis. Res J Life Sci Bioinf Pharm Chem Sci. 2018; 4: 291-304. 27-Guisbiers G, Lara HH, Mendoza-Cruz R, Naranjo G, Vincent BA, Peralta XG, Nash KL. Inhibition of Candida albicans biofilm by pure selenium nanoparticles synthesized by pulsed laser ablation in liquids. Nanomed Nanotechnol. 2017; 13: 1095-103. 28-Dwivedi P, Thompson A, Xie Z, Kashleva H, Ganguly S, Mitchell AP, Dongari-Bagtzoglou A. Role of Bcr1-activated genes Hwp1 and Hyr1 in Candida albicans oral mucosal biofilms and neutrophil evasion. PLoS One. 2011; 6: e16218.